Lovely Cherry Knolls home in a desirable location with an abundance of room and ample outdoor space to enjoy! 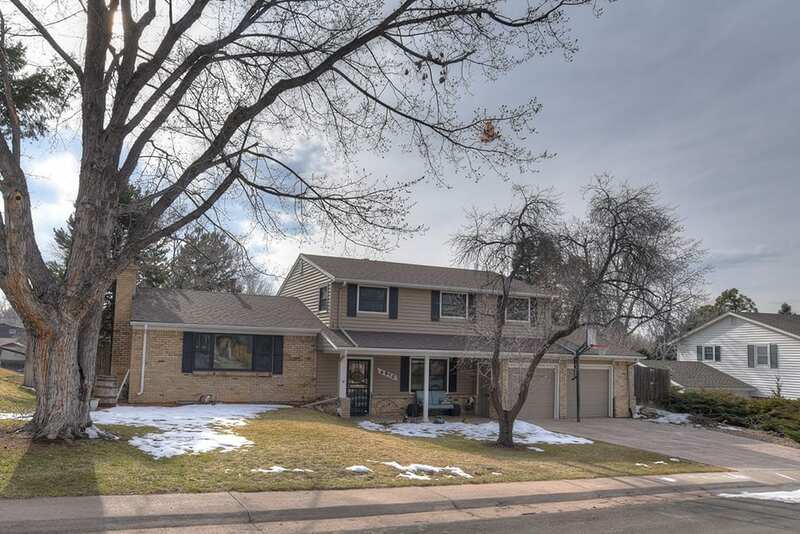 Resting on a nearly third-acre lot, just steps to the Cherry Knolls pool, this traditional home stays modern with tasteful upgrades and gleaming hardwood floors. Just beyond the welcoming foyer, a large window keeps the formal living room bright and an attractive fireplace adds warmth and charm. Ideal for entertaining, the adjoining formal dining room is a versatile space and offers seamless flow, access to the covered patio and is complete with a whimsical chandelier. In the kitchen, natural light streams from the skylight and a peek-a-boo window overlooks the family room. With an office niche, casual dining space, built-in cabinets, a wet-bar and a wine refrigerator, this comfortable family room is perfect for hosting gatherings or relaxing with the family. The master suite is exceptional, with two walk-in closets, an en suite bath and access to a private upper deck. Also on the upper level, find two additional bedrooms and a beautifully updated, spa-like bathroom complete with dual sinks and remarkable subway tile throughout. The fourth bedroom has been modified to create an expansive walk-in closet but can easily be converted back into a bedroom. In the finished basement, find a large recreation room furnished with a wood-burning fireplace and a multipurpose office that can also be used as a nonconforming fifth bedroom. Cherish time with family and friends on the spacious, covered patio looking out to the vast, fenced-in yard. Fantastic location near the 24-acre Cherry Knolls Park, Sandburg Elementary, Newton Middle and the popular Streets at SouthGlenn!